Great shows with DEFECTO + new video coming soon! We had some great shows with DEFECTO in Denmark throughout March and April. We will return to the stages in September with one last show with DEFECTO and we are currently planning some more shows in September. More about that later. Thank you all for the support at the shows in Aarhus, Tønder, Odense, Aabenraa and Aalborg. A video for ‘Netherworld’ is coming this Thursday, it consists of clips from the road and from the sweat dripping hot show in Aalborg. 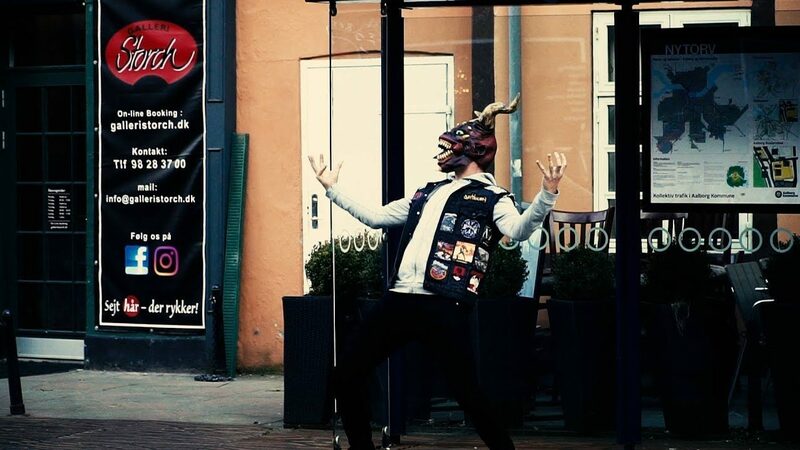 We met this horned creature in Aalborg! Next Post: Check out our latest video!